Easy Sale HomeBuyers | Sell Your House Raleigh NC Need To Sell Your House Fast? We Buy Houses! No Repairs To Fix – No Commissions – No Hassles – No Scams… Stress Free! My wife Ann and I needed to sell our house because of a family issue, we were moving to Atlanta. We were selling the house as is. After going through a realtor, who assured us she could get the best price for our house (that did not work out). We contacted Mr. Ward from Easy Sale Home Buyers and he worked with us and made, what a stressful situation, as easy as could be. If you need to sell your house, call B.J.Ward and Easy Sale Home Buyers. Easy Sale HomeBuyers Is Here To Help & Give You A Fair Cash Offer For Your House! We Buy Houses Lillington NC, All Across “The Triangle” and Throughout The Raleigh-Durham Area. If you’re saying to yourself, “I need to sell my house fast in Lillington,” don’t worry, we buy houses Lillington fast for cash! 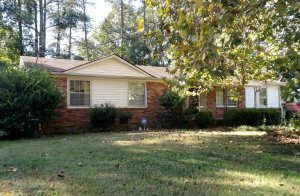 We have bought dozens and dozens of homes, and we can buy your Lillington too! Want to learn more about how we buy houses in Lillington? Check out how our process works. Easy Sale HomeBuyers is here to help! We pay cash for houses in Lillington in as little as 7 days… yeah, that fast!! We buy houses Lillington regardless of the condition of the home, your situation or the price! Are you facing one of the following situations in Lillington? Trying to Avoid Foreclosure in Lillington NC? Behind on your taxes or mortgage payments? Upside on your mortgage in Lillington? Have terrible tenants in a property? Facing thousands or tens of thousands in liens? Dealing with tens of thousands of repair costs to your Lillington home? Vacant house or a house that’s potentially condemned? Wanting to avoid paying realtor commissions? Easy Sale HomeBuyers has helped countless folks in just about any and every imaginable situation, including all the ones we listed above. We aren’t just people are looking to turn a profit off of you; we’re here to help! We want to solve your problems, lift a weight off your shoulders & help you close the book on this chapter of life! We can buy your house in Lillington quickly, and help you get this stressful situation in the past! Are you looking to sell your house in Lillington? Check out the Easy Sale HomeBuyers simple 3 step process to getting cash for your house in Lillington! We buy houses in Lillington in as little as 7 days! To sum it all up, if you need to sell your house in Lillington, we’d love to buy it! We will make you a no obligation all cash offer, meaning that you have every right to accept or decline… no strings attached! We want to show you the very best options you have, make you a cash offer & help you throughout the whole process! We want you to be educated on all the options you have to make the right choice when selling your house in Lillington. Plus with Easy Sale HomeBuyers, we buy houses in Lillington NC for cash, and we cover all the closing costs. EVEN BETTER: you pay ZERO fees or commissions!!! So selling your house to Easy Sale HomeBuyers means that you don’t have to pay anything… you get to essentially sell your house free. That is unheard of!! When you sell your house the traditional route with a realtor, normally the seller pays for everything: closing costs, realtor commissions, & even usually buyer concessions… that adds up to thousands or even tens of thousands of dollars real quickly. Are we agents? Nope… we won’t list your Lillington house on the MLS, we will pay cash & buy your Lillington house! 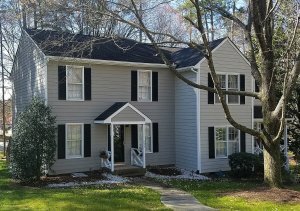 So that means no more showings, no more strangers coming through you Lillington home and no more anxiously awaiting if someone will buy it! You just show the house to us & our team and that’s it… pretty simple!! Once we have a signed contract — baring anything crazy happening like finding a mermaid swimming in 12 feet of water under the house — we’re going to close on your Lillington house! You won’t need to clean the property… not even sweep the floors! You won’t need to spend days or weeks finding & interviewing agents to make sure you get one that fits your needs. No wondering, no waiting, no hoping that your house will sell! Here at Easy Sale HomeBuyers, we will know super fast if we’re able to buy your Lillington home for cash. We’re experienced home buyers in Lillington, so we know exactly what to look for. Unlike selling through an agent, you don’t have to wait to see if the buyer can get financing… we’re ready to buy your house in Lillington right now! Why add all the stress & potentially months to the process? We can buy your house in Lillington — yeah that’s right, we buy houses Lillington NC — really fast! Don’t let this opportunity slip away from you, call us now at 919-887-8452! Easy Sale HomeBuyers works different than most real estate investment companies because we actually care about the people involved in our real estate transactions. When you sell your house in Lillington to Easy Sale HomeBuyers, we’ll help you get from point A to point B! We’re not just gonna leave you and your family out there to figure things out on your own; we want to come alongside you to help! If you call us now at 919-887-8452, we’ll give you an all CASH offer for your house in Lillington or in any of the surrounding areas! It’s no obligation, so you can accept or decline the offer — no worries 🙂 It doesn’t matter the condition of the house, it doesn’t matter what your situation is and it doesn’t matter how much the house costs! We buy houses Lillington no matter what! We help property owners just like you, in all kinds of situations. From divorce, avoiding foreclosure, death of a family member, burdensome rental property, and all kinds of other situations. We buy houses in Lillington… and all over NC and pay a fair cash price, fast. Sometimes, those who own property simply have lives that are too busy to take the time to do all of things that typically need to be done to prepare a house to sell on the market… if that describes you, just let us know about the property you’d like to be rid of and sell your house fast for cash. I am a single mom with two little girls and the last thing I wanted to deal with was selling a property we had. BJ was amazing in explaining the process and very concerned with getting the right figures so they would be no surprises. He made me feel like an adult 🙂 🙂 🙂 Thk god for a service that helps instead of confuses you!!! We buy houses in North Carolina. We are a local real estate solutions and investment company in Raleigh, NC that specializes in helping homeowners sell a house the easy way and fast in these areas: Wake County, Raleigh, Durham County, Cary, Apex, Holly Springs, Garner, Fuquay-Varina, Clayton, Knightdale, Wake Forest, Wendell, Zebulon, Rolesville, Johnston County, Franklin County and all surrounding areas. We are local cash home buyers, real estate investors, and problem solvers who can buy your house fast with a fair, all cash offer.